Former world No. 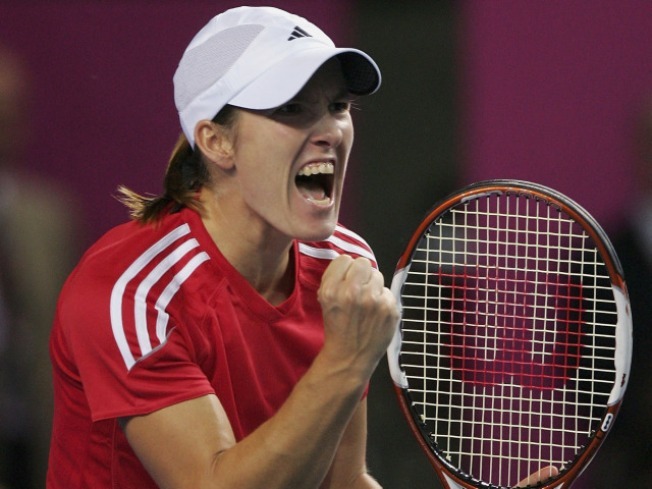 1 Justine Henin-Hardenne will again compete in professional tennis, the superstar female player announced Tuesday. The star, who's been retired for just over a year, announced on Belgian television shes ready to come back to the tennis world, which she dominated during the years she played as a singles competitor. Henin-Hardenne, 27, captured seven Grand Slams during her tenure on the court. Her announcement came a week after fellow former No. 1 Kim Clijsters captured the U.S. Open female title after a similar period of retirement. Henin-Hardenne, who's from Belgium, said she'll play in two exhibition tournaments in Belgium and Dubai to practice for her return to full competition next year.